• "오늘, 정보 관리 시스템에 대한 저의 원래 제안에서 30 년이 지난 지금 전 세계의 절반이 온라인입니다." • "상업적 낚시에 보답하는 광고 기반의 수익 모델과 잘못된 정보의 바이럴 확산 등 사용자의 가치가 희생되는 삐뚤어진 인센티브를 창출한 시스템 디자인"
🎂 The web at 30. 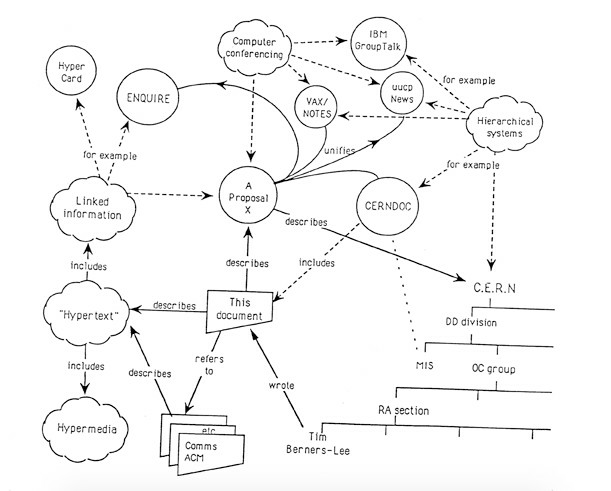 “Vague, but exciting.” — How Tim Berners-Lee's boss reportedly responded when he first conceptualized a browser receiving information from a server. 3) protect people’s rights and freedoms. "Governments must translate laws and regulations for the digital age... And they have a responsibility to protect people’s rights and freedoms online."